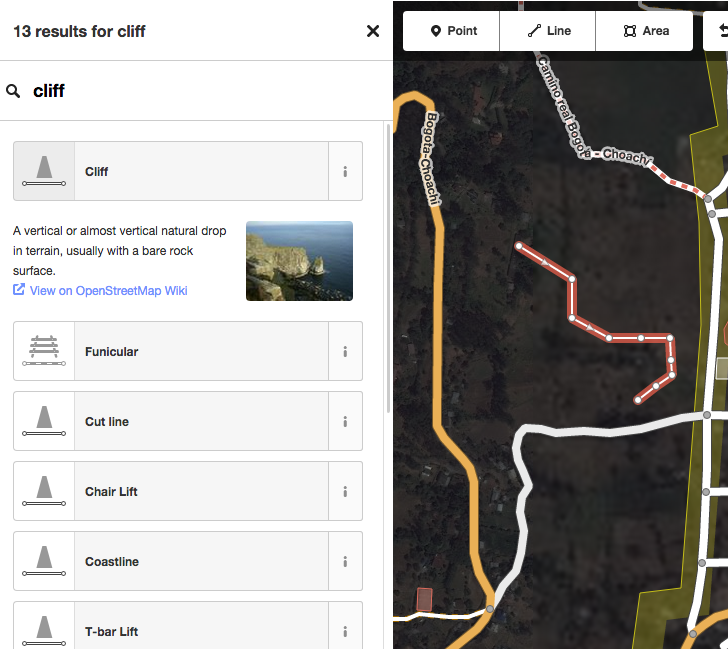 OSM website Map Key is missing "cliff"
You can view this map position here. There are hundreds (maybe even thousands) of different things that we render - only the most common can be included in the key. Is there a definitive list of map elements somewhere? It would be great to have a link at the bottom of the Map Key, View all, which goes to a page listing all elements. 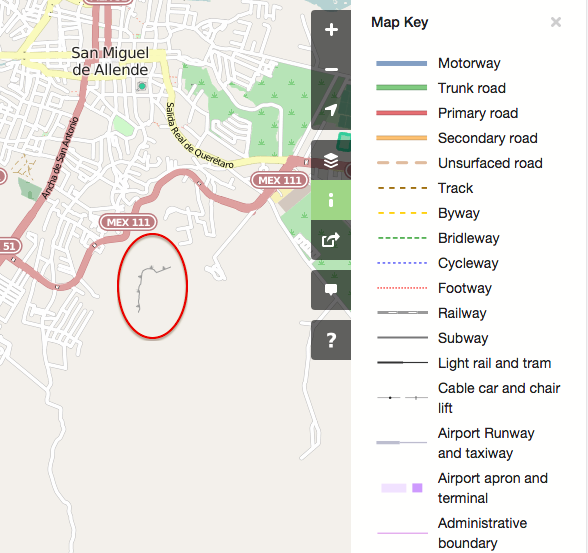 It's not really that simple - the stylesheet is at ​https://github.com/gravitystorm/openstreetmap-carto but there are over 6500 lines of carto CSS code and a couple of thousand lines in the project.mml file that defines all the database queries used to select features. I doubt there is anybody who actually knows the complete set of tag combinations that is rendered! I find that a little hard to believe. The software itself needs to know what map elements exist, in order to offer them as available to be added to the map, and then to render them. The map editor's search features interface lists known items, often including a description and even a photo (see ​screenshot). I did find the wiki page of ​map features, which is mostly what I was looking for (well, at least it has an entry for cliff). The rub is that it is human-generated, so I'm sure it is missing many of the elements defined in those 6500+ lines of css code you mentioned. Programmatically generating a page of all possible features would be pretty cool, and isn't an inconceivably difficult task. Thanks for your replies and considering the topic.